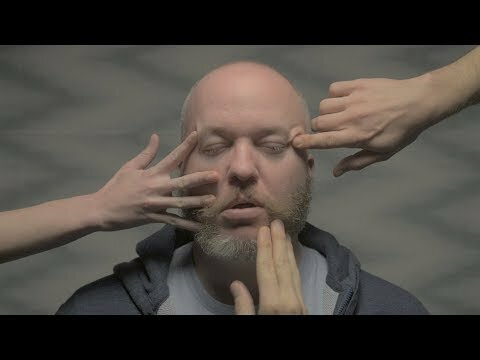 Radical Face, the Los Angeles-based project of musician Ben Cooper, has just unveiled the official music video for Doubt, his infectious single taken from his upcoming Therapy EP set to arrive on April 26th via Bear Machine Records. This is the most technically and physically demanding video I've ever done, as everything was done in-camera. No post was added at all, not even basics like color-correction. The idea was to build an evolving portrait, fading between extreme lighting and background differences while singing. The only problem was, for this idea to work, I couldn't move at all between takes. So we built a chair that could fix the back of my head in place, and I had to concentrate on not moving my shoulders or tilting my chin at all for about 30 to 45 minutes at a time. Really small movements were really noticeable when all the clips overlapped. Sitting that still with such concentration between takes is really difficult, mentally and physically. It's like doing stop-motion, but with lighting, make-up and a live person. And thematically speaking, this was all a visual attempt to get across how, when dealing with depression, you often feel static, or numb, while the world around you seems chaotic. That even people trying to get your attention doesn't really register, it all just feels pretty stuck in time.